Watch The New ‘Bad Moms Christmas’ Trailer! Let’s all be clear, the first ‘Bad Moms’ was absolutely hysterical. Usually I am not into sequels (Looking at you ‘Pitch Perfect 2’) but this is one I can probably get behind. The combination between Mila Kunis, Kathryn Hahn, and Kristen Bell is absolutely hysterical. It doesn’t hurt that Jay Hernandez is also in the movie, and new added hottie Justin Hartley. That is just some nice eye candy for all of us ladies. I am totally here for this movie and I can’t wait to sneak alcohol into the theater to watch it! Posted on September 6, 2017 September 6, 2017 Categories Celebrities A-J, Celebrities K-ZTags 2017, Bad moms, Bad Moms 2, Bad Moms Christmas, Jay Hernandez, Justin Hartley, Kathryn Hahn, Kristen Bell, Mila Kunis, trailerLeave a comment on Watch The New ‘Bad Moms Christmas’ Trailer! ‘A Bad Moms Christmas’ Official Trailer Is Finally Here! Listen, I absolutely loved the first ‘Bad Moms’, I told everyone to go see it. See I can get passionate about things I love, like pop culture things, not political. Well, I don’t want to judge this movie by only one trailer. It seems like it’ll be pretty funny, I mean Kathryn Hahn kills me, so anything she is in is always a riot. It’s about time she gets a leading role, that’s all I can say. The fact that Kathryn’s mom is Susan Sarandon? That makes me even more excited! So I will see it, even if I’m not sure if they will be able to top the first one. Jay Hernandez, Kathryn Hahn, and Susan Sarandon, that’s all I need! Posted on June 28, 2017 June 28, 2017 Categories Celebrities K-ZTags 2017, Bad moms, Bad Moms Christmas, Jay Hernandez, Kathryn Hahn, Kristen Bell, Mila Kunis, trailerLeave a comment on ‘A Bad Moms Christmas’ Official Trailer Is Finally Here! 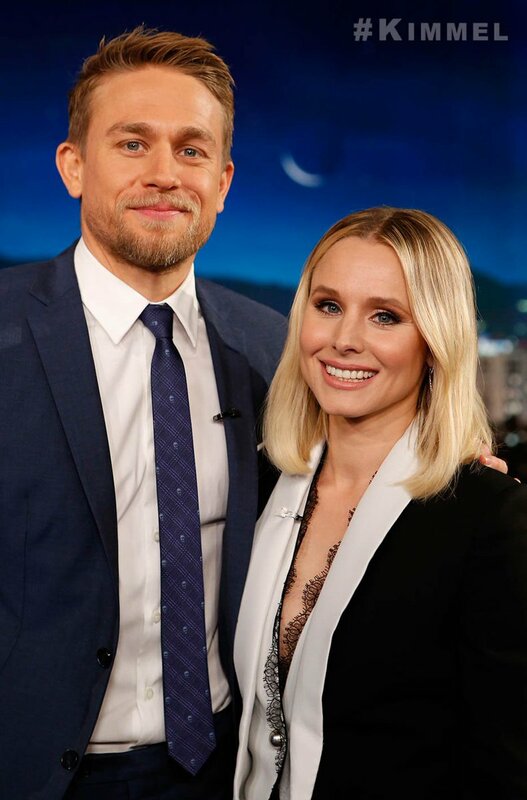 Last night Charlie Hunnam appeared on ‘Jimmy Kimmel Live‘ and made the entire audience fall even more in love with him. He definitely made guest host Kristen Bell fall in love with him, even though she is in fact happily married. I am kind of eating my words at the moment because I always thought that Charlie Hunnam was attractive but not this super hot guy everyone else thought he was, until now. Now that I know he has a 17 year old cat that he saved, I mean obviously he is in my top 5 now! The whole interview is really sweet, he talks about getting dumped before a disco dance, almost dying in a motorcycle accident, and then talks about his cat which he refers to as his homie. If you don’t want to listen to the whole thing just fast-forward to the 5 minute mark and listen to the cat saving story. 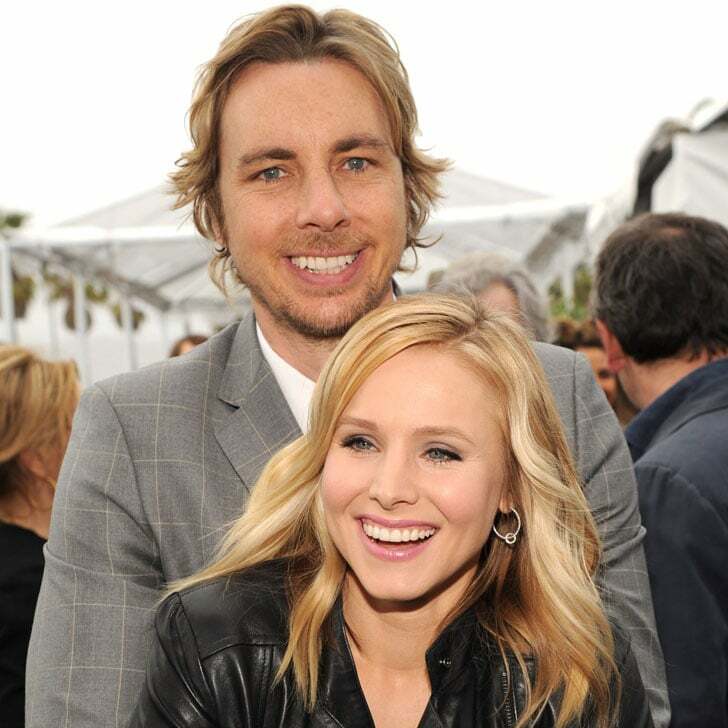 Kristen Bell and Dax Shepard are one of Hollywood’s most adorable couples in my opinion. They seem to be a lot of fun and also seem to genuinely get along which is always nice. In reality they seem like the kind of couple you could hang out with and not feel awkward about being a third wheel. In case you didn’t know these two didn’t have a traditional wedding at all. They ended up simply going to the courthouse and getting married there. They got dressed up and even took photos there. How adorable is that? So quirky but not in an annoying way, do you feel me? The couple have been married for three years but have been together for nine years. Now, nine years later they have two children and continue to be adorable. Dax took to Instagram though to post a throwback of the couple, back when Dax thought that chewing tobacco was a good look. In case you’re wondering, it’s never a good look. 9 years ago. And unfortunately that bottom lip isn't from injections, it's Skoal. That's right, I landed @kristenanniebell while in the throes of a nasty dip habit. Thanks for being an optimist, honey. Here’s to hoping these two never breakup because my heart can’t take it. Stay together for the kids and for me, okay? Okay. Jimmy Kimmel is one of the best in late night, next to James Corden of course, so he decided to make a few calls and bring in some big named celebrities to help raise awareness for AIDS. Jimmy and Bono teamed up for the (RED) campaign for the second year in a row, the campaign raises money to fight AIDS, and continue to raise awareness. So who better to bring in awareness than some of the hottest celebrities in the world, right? 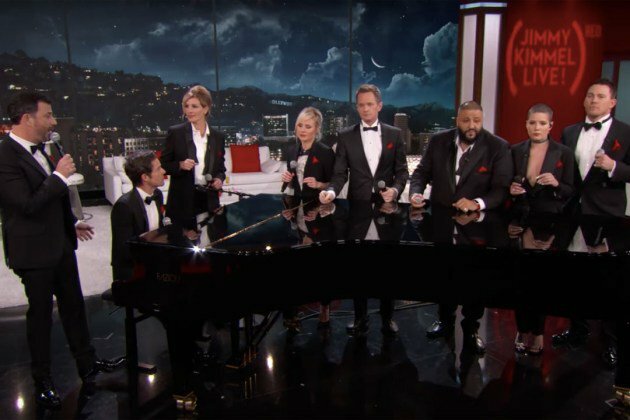 Celebrities like Julia Roberts, Channing Tatum, Halsey, DJ Khaled, Brandon Flowers (front man for The Killers), Kristen Bell, and Neil Patrick Harris came out to sing a song called “We’re Going to Hell”. Check out the catchy tune and be sure to go to red.org to learn more! I promise you, if Kristen Bell tried she would absolutely be in the Spice Girls. The Spice Girls would have loved to have had her. Ellen? Ellen you can’t just dress like Sue Sylvester and try out for the Spice Girls! Come on homegirl! Really though, I hate that they are going to replace Posh and Sporty. I mean Posh can actually go, she was miserable anyway. Mel C though? Mel C had the best voice in the band. No questions asked. Great skit though Ellen, good job.